For several years, the European Commission has had Google in his sights, but the tone seems to be rising in recent months, as Brussels is increasingly accusing the dominant position of Google. Google has chosen to calm the situation and provided a list of commitments to avoid any financial penalties and a heavy trial for abuse of dominant position in Europe. In fact, 90% of searches are done through Google in Europe and some specialized search engines see a very dim view of the fact that the American giant offers its own services as a priority. Indeed, several companies including Microsoft, TripAdvisor, Twenga, Expedia, FairSearch showed that Google put forward its own research results on topics such as restaurants, hotels, flights, etc.. with price comparison tools. This preferential treatment is unacceptable to specialized sites that Brussels followed suit. So, Google has set up a specific label for its own services, so that users can notice them at the first glance, if they do not want to use them. Google says it will highlight three competitors beside his services to enable everyone to choose the best and not the best put forward. Google has had other charges of monopoly, including news sites for the misuse of their content. The giant agrees that each site can deny that its content is used by its services, without it disrupting their indexing and ranking by the search engine. Finally, Google will no longer impose exclusivity clauses, for example, regarding contextual advertising. 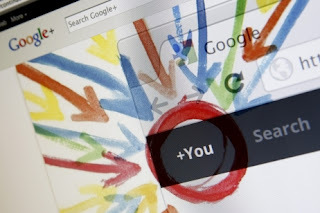 All complainants and the European Commission have until late May to analyze the impact of Google’s commitments to define whether they are sufficient or not, and to make them mandatory. Otherwise, the giant could see them impose a record fine of nearly 10% of its global turnover. Ppt for a VPN to surf anonymously and avoid ad targeting operated by the various search engines. The best way to limit the traces you leave on the Internet is to use a VPN service. The VPN reduces indeed your online movements by replacing your routing information: your IP address and will be replaced by an anonymous address. Our secure DNS servers keep secret queries you make, so that no one can take a look at your browsing history. Your Internet connection is encrypted with a top secret level that protects you against hackers and illegal ears trying to listen or obtain sensitive information about you. Your computer is hidden behind the many VPN servers: when you are connected to the VPN, no one can access your computer without passing through the protected VPN servers.